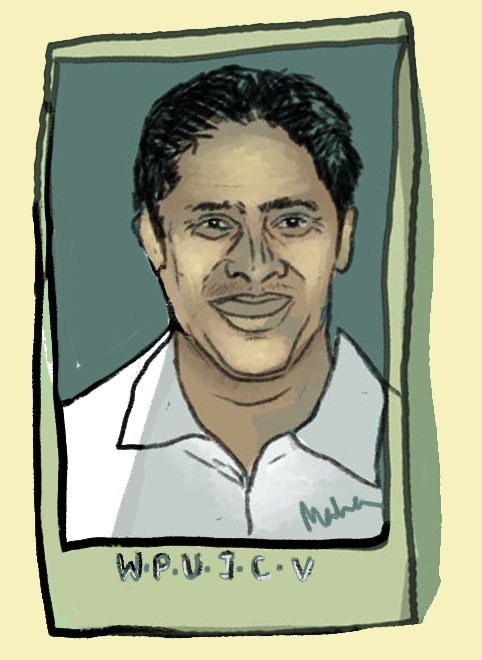 Chaminda Vaas - What's in a name? If the bard did come across this most sincere of cricketers, would he have changed his position on that name thing? Possibly not. After all he did claim that it was virtuous to be obstinate. Neither did the Sri Lankans have any problem with Warnakulasuriya Patabendige Ushantha Joseph Chaminda Vaas. The stature of the man matched the magnificence of the name. Born January 27, 1974, not only was he the first world class pace bowler produced by the island, he was also a good enough batsman to raise serious claims to being an allrounder. He turned out in 111 Tests, and gave his all in every one of them.